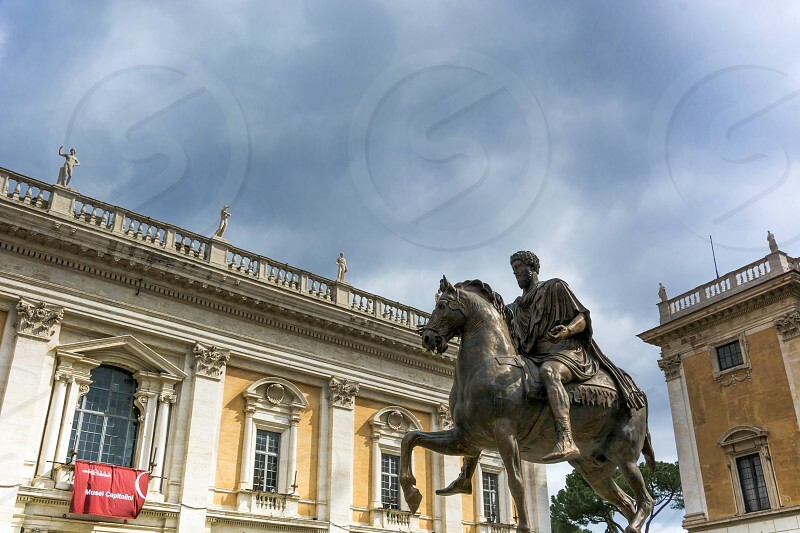 The Equestrian Statue of Marcus Aurelius is an ancient Roman statue in the Campidoglio, Rome, Italy. It is made of bronze and stands 4.24 m tall. Although the emperor is mounted, it exhibits many similarities to standing statues of Augustus. The original is on display in the Capitoline Museums, with the one now standing in the open air of the Piazza del Campidoglio being a replica made in 1981 when the original was taken down for restoration.